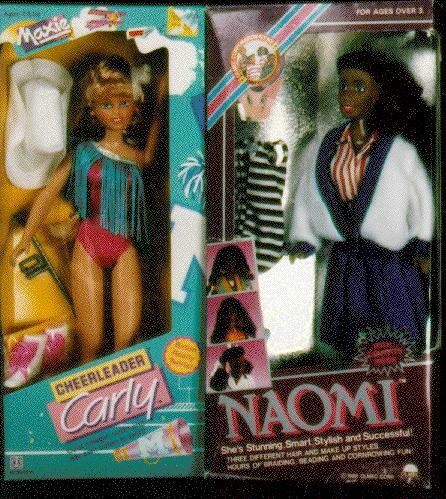 On left, Cheerleader Carly (Maxie's friend) by Hasbro, 1988. On right, Naomi, by Olmec Toys, 1987. This is one of the earliest fashion dolls by Olmec Toys, -- they later changed her name to "Imani".